UAE residents will soon get to enjoy a new waterfront destination that’s inspired by the picturesque coastal communities in the French Riviera and it is set to open before the end of the year. 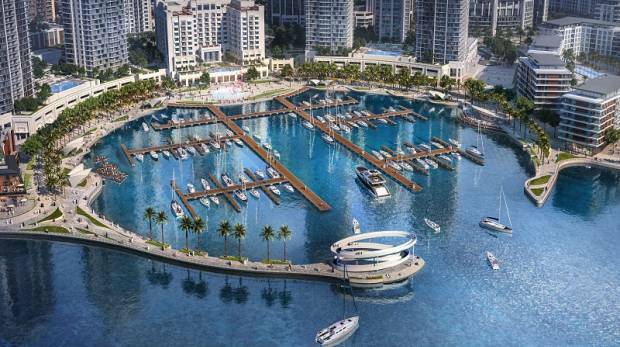 Joining the growing list of seaside venues in Dubai, such as La Mer, The Beach and Marina Cubes, the Creek Marina is scheduled to open in December this year. It offers views of the Downtown Dubai skyline and the world’s next tallest tower, and will be peppered with restaurants, street vendors, cafes, entertainment venues, residences and berthing spaces for yachts. The oyster-shaped destination will also have an interactive fountain, as well as a 286-room upscale hotel similar to the harbour hotels in Singapore and Shanghai. Dubai developer Emaar Properties announced on Tuesday that the upcoming district that will most likely appeal to those who love the yachting lifestyle or hang out at the waterfront is set to open before the end of the year, while the first residents are likely to move in early next year. And since it is nestled in the heart of the Creek Island Dubai, it will take only 10 minutes for visitors to reach this place from the Dubai International Airport or the Burj Khalifa in Downtown Dubai. It is also conveniently located near the Dubai Square, which will be bigger than Dubai Mall or any other shopping centre in the world, and the monumental Dubai Creek Tower, set to be the world’s next tallest edifice.